This recording is available on the resources section of my website www.wendyfry.com along with additional love and relationship downloads for your enjoyment. This recording will not only support your love relationships it will also increase your confidence and sense of self empowerment and belief in your lovability. Imagine right now that you are directing your spotlight to all that is possible for you, allowing the rays from that light to expand ever outward. Really feel what it feels like to experience the warmth and glow of love, make that picture bright and sharp and clear. Turn up the sounds, smell the heady scent of love, taste the sweetness of being open to giving and receiving love. This light is YOUR LIGHT, the guiding light bringing you back home to you, the place where love resides. It’s time to re-direct your focus to Find YOU and Find LOVE. It’s not until we improve the relationship that we have with ourselves and discover how to love ourselves that we are in a position to be open to receiving love. Now is the time to visualise your future exactly as you want it to be. So much is possible for you and then some! An additional heart based exercise that you may like to use to further increase the energy of love in your life is to practice daily the following reflective questions. Seeing yourself through the eyes of love every day is a wonderful daily exercise to practice. The statements below can be completed by either writing them out or speaking them aloud. They will set you up for the day ahead and put you in a positive frame of mind, guiding your thoughts to those which are kind and loving. When I look through the eyes of love, how do I choose to see myself physically today? When I feel from the heart of love, how can I be more loving to myself today? When I use my inner wisdom, what thoughts can I choose to think about myself that are more loving? When I see the love and beauty all around me I start to notice….. When I focus on all that is possible for me I…..
Today, I realise that when I choose love I…..
Today, tomorrow and the next day I commit to…..
Now and for always I….. If you ever wondered whether there was a limit to how happy you can be, how loved and cherished you can feel, how complete you can become – think again, there is no limit, none at all! If you would like to work with me go to www.wendyfry.com It will be my pleasure to connect with you. Choose a word that evokes in you a wonderful feeling, a word that when you think of it makes you feel I glad all over, a word that when you visualise the results of achieving it you feel alive! Choose a word that when you hear it or read it inspires you and makes your heart sing. Select a word that really gets your taste buds tingling and your nose sniffing out for more of your word. Use all of your senses to really connect with your word, what will it look like, feel, like, sound like to have more of your word in your life? Ramp up those thoughts and feelings and embody your word deep inside of yourself, let your word live in you and through you, through thought, action and deed. 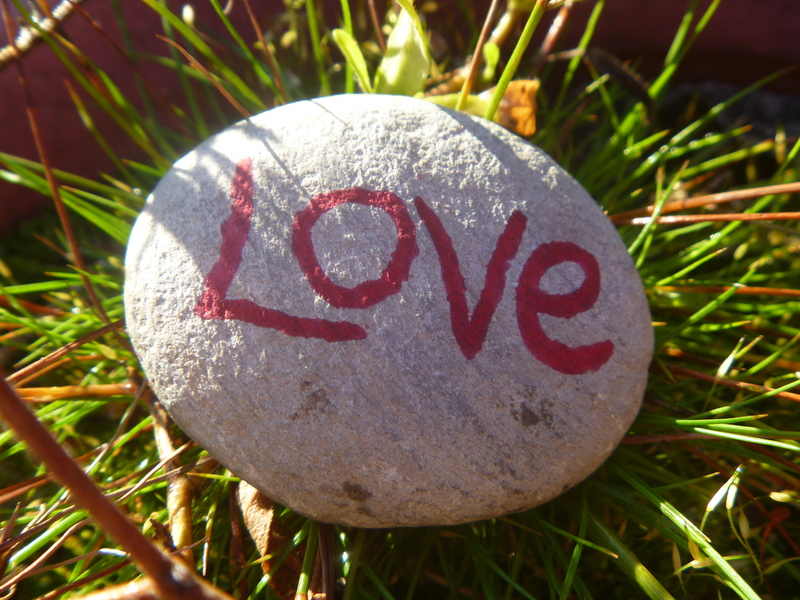 My word for 2015 is LOVE, yes love! LOVE, LOVE, LOVE and more lovely LOVE! There is so much to love. I love my family, my friends, my work, I love life and living, I love being connected with people I have never even met, I love giving love as well as receiving love. So think about your buzz word. What do you want more of in 2015? Choose a word that makes you feel good, a word that you want more of, a word that you are committed to giving as well as receiving, a word that makes you smile, a word that sets your heart on fire! 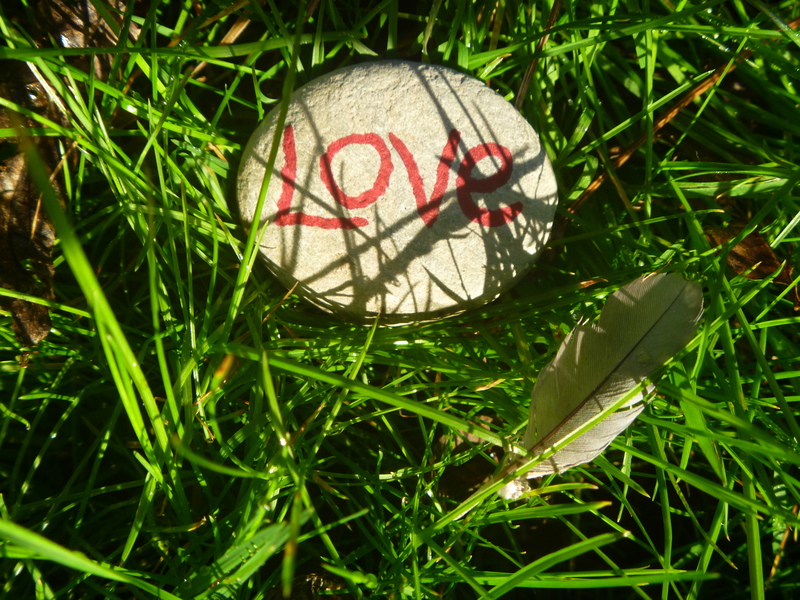 Now go and find yourself an awesome looking pebble or piece of driftwood, something beautiful from nature to write your word on, your word will replace to mother earth that which is taken in a very positive way, it can be put back into the earth at the end of 2015 with thanks and gratitude. As an alternative perhaps you might like to create something from Paper Mache or make a card, use embroidery to stitch your word, bake a cake with the word on it, make some music that relates to your word use your creativity to find a way that best expresses you and your word. My lovely LOVE pebble will now sit next to my computer so that all communications I send, I send with love. The pebble will be in my work space so all that enter my office to work with me will also feel the energy of love ripple out. Love will be my focus for 2015. I will see LOVE every day, I will feel LOVE every day, I will hear LOVE every day, I will BE love. So what’s YOUR word for 2015? 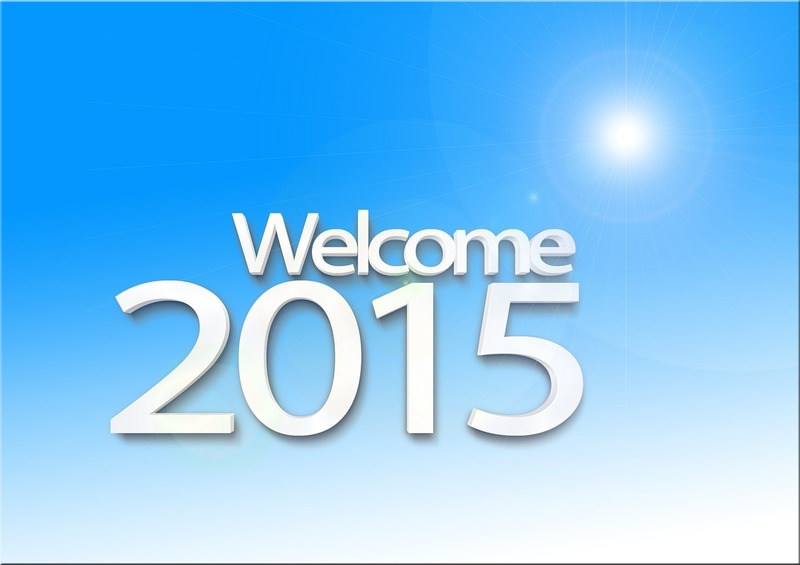 Feel free to share your word and this blog to inspire others to choose a word for 2015. Words are magical and so are you, create for yourself a beautiful future with YOUR word. I’d like to take you now through a journey of time and space, you set the time frame and I will lead the way. You could take yourself forward in time to one year from this date, three years, five years, ten years whatever time frame jumps out for you. You may like to experiment with different time frames and use the audio several times to reveal different sources of information. The audio along with other free resources are available on www.wendyfry.com go to the section that says book/resources and find all your lovely freebies there. Find a quiet place to relax, sit back and take three nice deep and easy breaths. Imagine that you are in your favourite place the place where you truly feel relaxed. Be aware of your breathing becoming slower and more and more relaxed. Think about seeing, sensing or imagining that you are travelling forwards in time; you choose the mode of transport and simply sit back and enjoy the ride. You are willing to go forward to a new time and space in the future and by doing so; your mind will expand and be open to receiving information through your senses, alerting you to all that is possible. You may also become aware of some changes that you need to make in the here and now, to get you to where you want to be in the future. Allow your mind to take you where it will. What have you moved away from? What have you moved towards? What have you let go off? What did you stop doing? What did you start doing? How do you experience your life and love relationships in the future compared to the ones that you are living now? What changes have you made between then and now in your life and love relationships that have been positive and beneficial to you? Notice your thoughts, how have they changed, what did you have to do to think differently about love and relationships? Notice your feelings now that you have moved on from the past. What advice does the ‘future you’ have to share with you? If you took that advice right now and applied it to your life, how would that benefit you? If you didn’t take that advice what difficulties might remain and how would that limit you? Is there anything else that you wish to find out about your future, you may be interested in other life areas outside of love and relationships and the same process can be applied? If you have other questions to ask your future self, ask them now, the answers may come through pictures, words or feelings. Tune in to the future you carefully, be patient and wait for your answer to come in any way that seems right for you. Phrase your questions clearly and in a positive way. If this exercise seems a little difficult for you in any way, just pretend that you are able to work through it. Pretend that you are thinking about, seeing, sensing or imagining yourself in the future and it will come. Bring back with you to your current awareness in this current time and space, the insights and information you have learned from your future self. If there were things that were less than you hoped for, ask yourself ‘How can I change this for myself? What actions do I need to take in order to change this? Sometimes, it’s about taking action towards what we want in order to bring the changes to us more quickly and effectively. Any information you receive will be for your highest good and will be a guiding light in shaping your future as that all singing, all dancing extravaganza and making your future the best it can be. Limits exist only in the mind…are you ready to step ever forwards into your future? End of Year Reflections Leading to a New Year and New Life. Please use this exercise to reflect back on 2014 and the lessons that you learnt about yourself, other people and the world around you. There may have been some painful parts to 2014, though with learning often the unpleasant situations are our greatest gifts and create positive change and new beginnings in our lives. • Reflecting back on 2014, what happened month by month? • What did you really love about 2014? • What happened in 2014 that you would rather not go through in 2015? • What experiences have you been through that you did not enjoy in 2014? • What did you learn from those experiences? • What do you need to start doing, stop doing or do differently? * Your sense of fulfilment and accomplishment? • If 2014 was a tough year for you, how can you use your learning to your best advantage to make 2015 your best year yet? • Who were you when you started 2014 and who are you now? 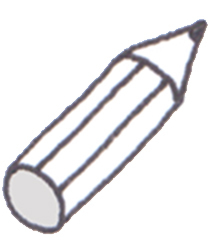 I hope that you enjoy completing your end of year reflections. After completion you may like to read back through it and take from it your goals and action steps to make 2015 your best year yet! Write them down and make them happen! Love is where we live. Today I thought I saw a sign that said ‘Love is where we live’ under the ‘You are here in Tunbridge Wells town sign’. It made me smile not only to realise that I had in fact reached my destination I also felt a surge of excitement in anticipation of the day and what I could find to love from the day’s events. The sign got me thinking about love and how love relates to where we live. Many think of home as bricks and mortar, an area, a town, a country. Some say ‘home is where the heart’ is or ‘wherever I lay my hat that’s my home’ but what is it really like to live ‘inside you’ and how much love is under your roof? How much time and attention are you investing in making your own personal house a home? Many people travel the world over to find a place where they can settle down called home. Some look outside of themselves for someone else to love them and fill up their empty rooms with love or things. Others try to escape love through drugs, alcohol, work, sleep and other addictions because their experience of where they’ve lived before has been painful and unwelcoming. For some they build up comfort zones and prisons made up of fears, insecurities and doubts instead of homes. Not every place you live will have dry rot or crumbling walls, not every home will cause heartache. Some homes that you have never even stepped into have solid foundations. They may be an undiscovered investment that given the opportunity will bring you untold joys. These homes may provide warmth, shelter, happiness and love. A place where you can lay your hat, a place where you can be accepted as who you are, a place where you are loved, a place called home….what would that be like for you? It’s true each home you investigate may have a risk attached to it, but what’s the risk if you stay inside that comfort zone, keep travelling the world over or keep moving from home to home before you even unpack? Is your home really where the heart is? If you would like some help in working through the barriers that you may have to living in a happy home, I offer a range of services to support your needs https://wendyfry.com/services It will be my joy to support you. On further investigation on the way back, the sign actually said ‘love where we live’. It’s a borough run council programme to celebrate and reward the amazing individuals, groups and organisations that help make Tunbridge Wells a great place to live. 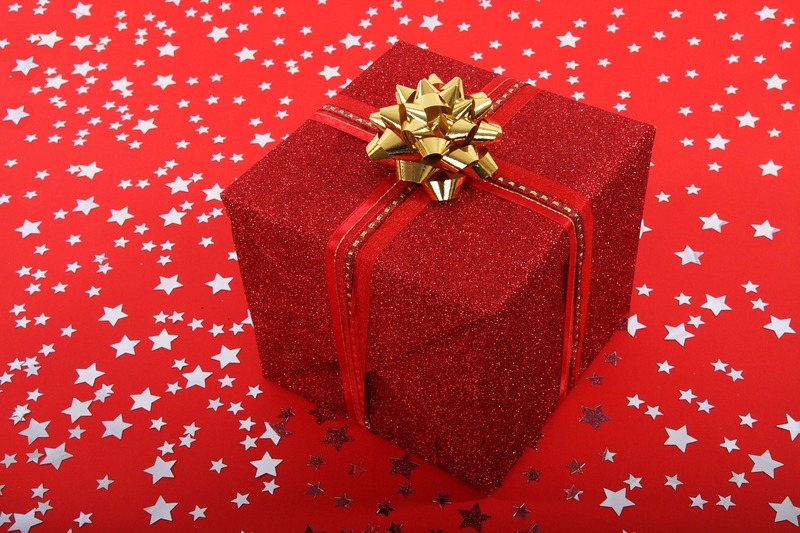 Presents, gifts, treats, tokens, vouchers, goodies, surprises. All names for presents. 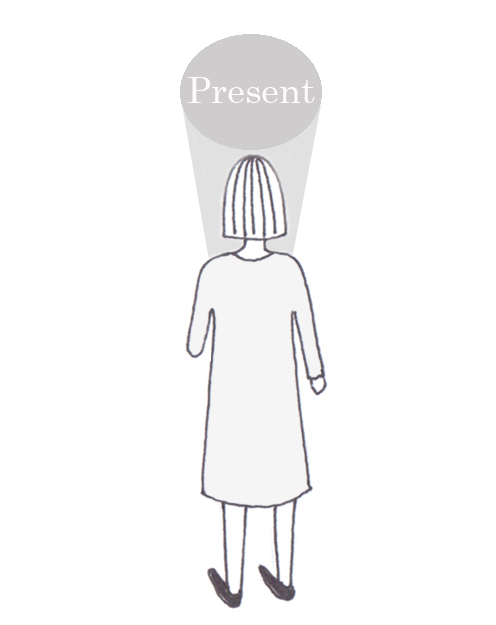 But what does ‘present’ really mean to you? How may people are you giving the gift of your presence to? How much time do you spend in the present moment? 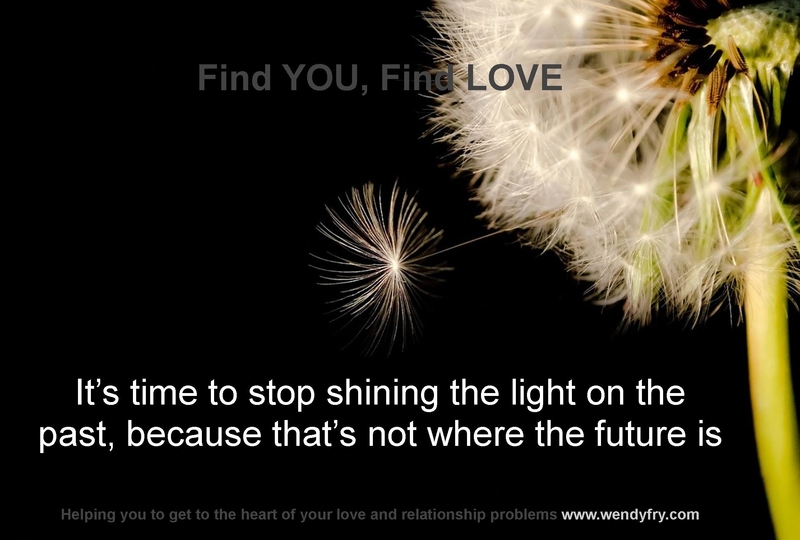 It’s time to stop shining your light in the past because that’s not where the future is! This blog is much briefer than usual as I’m aware at this time of year you may well be busy buying presents, so without further ado, as the festive season is upon us I invite you to take a moment every now and then to be fully present in the moment…enjoy the sound of Christmas carol singers, the smell of baked goods you may be making, the twinkle of the Christmas lights in your tree, the love you feel in your heart for those who are special to you, the cool crisp air of the December days, dawn and dusk and it’s glorious skies, the sound of children laughing, the flutters in your tummy when you think of meeting with those you may not have seen for a while. The energy of connection you have with friends and loved ones across time and space. It would be great to share time and space with you at The Giving Back Conference 25th January 2015 with the lovely Brett Moran http://brett-moran.com/gbc/ where we can all contribute to making positive change in our lives as well as the lives of others. I will be speaking about LOVE!. Where does your mind go when you read this title? No doubt you’ve seen the original movie Back to the Future starring Michael J Fox, maybe you’ll even watch it again now that it’s there in your mind. BUT WHAT ABOUT YOUR FUTURE? If you could find a way of peeking into the future and knowing that everything was going to be ok, would you? If you had an opportunity to learn insights about the actions you need to take now to make your future what would that mean to you? Are there things that you need more clarity over before you take the next step moving forwards? 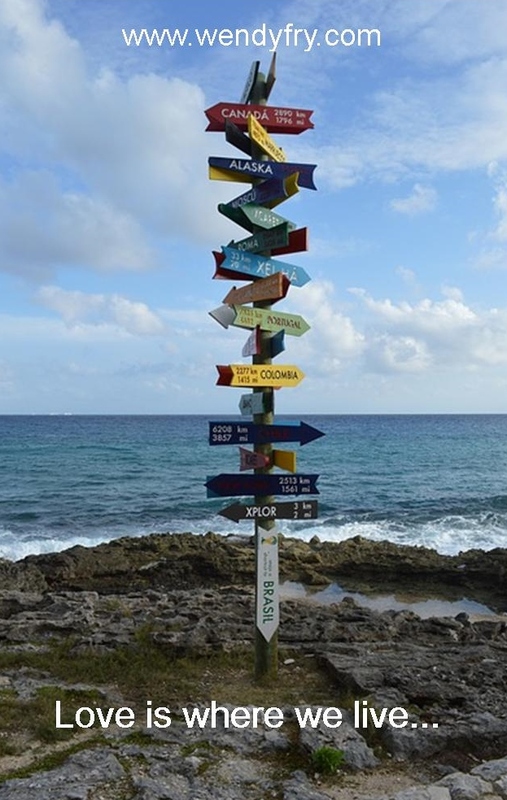 From this moment on, I invite you to get into the mindset of planning ahead for a new and exciting journey to a brand new destination – your future! Toady is the first day of the rest of your life and it’s up to you to make it a good one! There is a process that you can use to reveal aspects of your future called Future Life Progression, FLP for short. Just imagine how looking 5, 10 or more years into the future could benefit you…think about the valuable learning you could gain from the future looking back to now. What would you change with the wisdom gained from peeking ahead? Future Life Progression is a unique and safe way to look ahead into your future for the purpose of finding out what next steps to take in your life now. It’s a positive experience that can only change your life for the better. What would it be like to learn how to overcome the challenges you have right now? What if you knew that making a certain choice was the right choice? Is a certain job or relationship right for you? A certain house move the right move, is it the right time to make an investment? So many questions can be answered this way. Future life progression will give you all of these answers and more. The future is yours to create for yourself and Future Life Progression will help you to achieve the best possible future you could ever imagine when you apply the knowledge and wisdom your future self gives you! If you could give yourself advice 10 years ago after all the challenges you have overcome in the past 5-10 years what would you say? FLP is no different to that. I will guide you to get clear on what you want for your future and support you to getting down to the business of shaping and creating your reality, so that you step more fully into a positive expression of yourself, to be all that you are, true to you and authentic to your heart’s desires. You are in the hot seat, it’s down to you now to set the destination and plan the time frame of your journey, you have everything you need to charter your course and enjoy the ride. 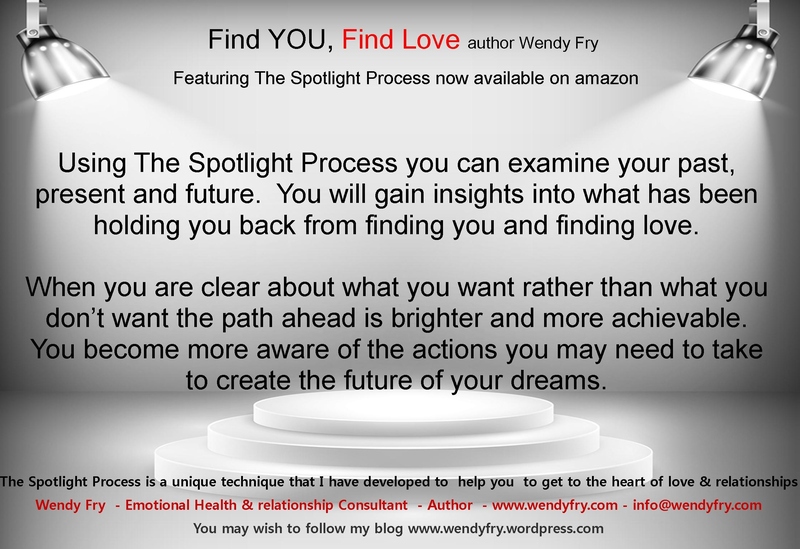 There is a short sample of FLP taken from my book Find YOU, Find LOVE called 21 Steps to LOVE which you can download from my love and relationship website www.wendyfry.com/book/resources it’s adapted with kind permission form Anne Jirsch who developed FLP. There is so much potential and possibility ahead and with your commitment, intention and desire, I have faith in you that because you’re focused on what you want, you can be, do and have all that you have dreamt of and more. Will I cope if I have children/will my partner help out? What are the names of my products? What do I need to do to become happier? What service provider should I use? What book title will be a best seller? What is the best venue for me to work from? What are you waiting for when you have your whole life ahead of you? Your future is in your hands, make it a good one! You may have noticed that you have a voice inside your head that sometimes whispers very gently to you words of encouragement, acknowledgement and praise, words of comfort, care and understanding. Words of support and tenderness though, more often than not, the second you have your back turned that voice may bellow, cagoule, ridicule and remind you of your faults , your inadequacies and may nag you at times, seldom coming up for air. I like to call my voices ‘The Voice of Doom’ and ‘The Voice of Love’. Do you have names for yours? That negative inner voice may criticise you, judge you, compare you and tell you you’re not good enough, worthy enough, capable enough or strong enough. Worse than that, it may even call you names or swear at you. It may keep you tied to the belief that you’re not lovable, that relationships cause pain and opening your heart to love is too risky. Your voice is with you morning, noon and night, it can turn on the charm or pull the rug out from under your feet until you have a word with it and rein it in. That voice is with you at every stage of your life, every decision you make, every crossroads you face, every choice and every venture is dictated by that voice. Everyone has an internal voice, an endless stream of chatter a narrator talking you through your waking moments and through your dreams as well! Name your own voices and identify them as characters, the voices you may in fact know, they may be the voice of your parents, teachers, people you have lost contact with or a combination of internalised voices merging together, these voices are in fact just thoughts. Draw your voices (your versions of the voice of doom and the voice of love) in your journal or on pieces of paper. Find a way to record the voices as characters perhaps sketching them or you may like to make a collage of how the voices look. It’s been interesting in my work to see my clients drawing their characters, changing the voices of the characters in their heads and also naming and shaming the voice of doom. There is a stark contract between the voice of love and the voice of doom, one often an ugly scribble, a monster or a mess. The voice of love gentle, flowing and beautiful. That critical inner voice doesn’t have the same impact when you turn it into a cartoon voice, speed up or slow down the voice. It’s very cathartic to get a grip on the voices and realise that you control them, they don’t control you. Adding humour to the voice of doom changes the impact it has on you. The voice of doom you may be familiar with as it’s often the louder of the two voices in your head. It’s the voice that holds you back, the voice that takes you down and holds you tight in the grip of fear. It has a detective like persona that will only look for and gather together all the negatives it can about why love and relationships are ill fated, impossible, too risky, and too scary. This voice will do little to encourage you to be open to the love, hope, joy and connection which having a positive relationship can bring. You may have found your voice of doom likes keeping you in your comfort zone where everything is safe and familiar; it shelters you from perceived threats, from the risk of harm, from danger, it is on the lookout, constantly gathering information to support the negative beliefs that you hold about yourself, other people and the world around you. The voice of doom actually has a positive intention and what’s beneath its harshness is a form of protection and tries to keep you safe from perceived risks to your survival. Your internal dialogue was formed as part of your life experience from childhood to today. Every voice you have ever heard will become part of your own inner landscape and contribute to how you talk to yourself in moments of joy and moments of stress. Knowing that the negative voice is really there to try and protect you gives a different meaning to it. As adults we can reflect on whether or not we listen to that voice or simply thank it for trying to watch out for us and then make our decisions based on the facts of a situation. The voice of love comes from deep within, from the very heart of you, from your intuition or what some may call higher wisdom (or gut feeling) from the very core of your being, the voice that was part of you when you were born, open to love, open to receiving, open to joy and possibility. The job of the voice of love is to keep you true to who you really are, to allow the essence of who you are to flow through, it’s there to guide you towards happiness and love if you will stop and listen. The voice of love may have been waiting in the wings for decades waiting to be heard. Allow it to step forward, to welcome it with open arms, listen to it and trust and respect that this voice needs some air space too. Listening to this voice, connecting with it at times of indecision, will serve you well. Ask yourself ‘’what would love do here?’’ and then let the voice of love (your inner voice) express itself. This is the voice of your inner power, the truth of who you are. The voice of love can be compared to a gentle voice perhaps caring for and speaking with a two year old, calming and soothing them, being patient, loving and forgiving. Now that you understand more about your negative internal voice and its intention you can decide if it’s time to stop listening to the voice of doom, because there is another way – to listen only to the voice of love. Read through the following questions. What voice have you been paying more attention to – the voice of doom or the voice of love? Does one or the other voice get louder when you’re with certain people or in a certain place? Think about the tone of voice and what it says, who does this remind you of? What type of things do your voices say the most often to you? How has listening to the voice of doom affected you and your life to date? What opportunities have you missed out on by listening to the voice of doom? What would you have to give up to hear the voice of love? What can you put in place today to be sure that you listen more to the voice of love and less to the voice of doom? How can listening to the voice of love improve your life, love and relationships? We want the voice of love to stay within us at all times with a happy and loving commentary. 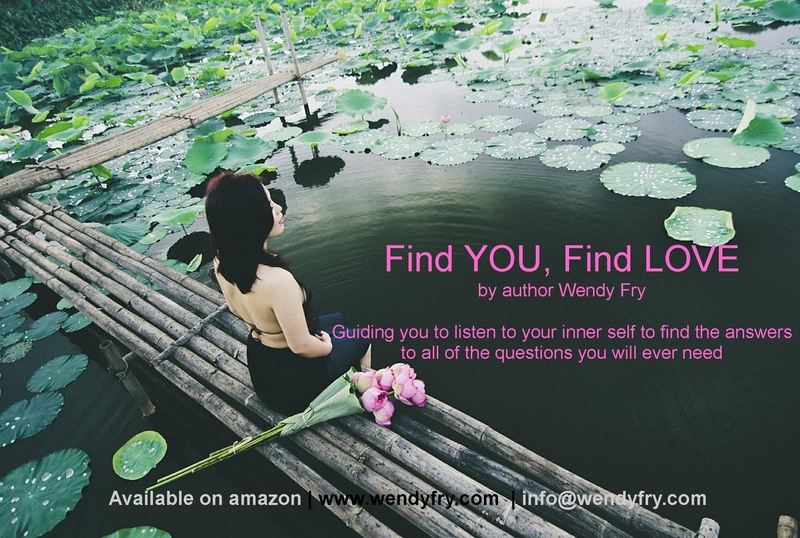 If you’d like to download Chapter 3 ‘Love and Relationship Beliefs’ from Find YOU, Find LOVE go to https://wendyfry.com/resources/ where you will find a range of free Pdf’s and audio downloads for your enjoyment. 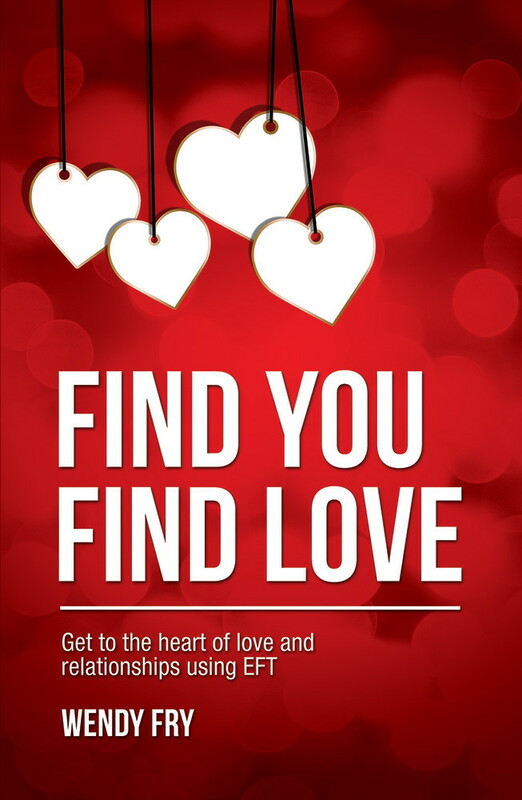 The next Find YOU, Find LOVE workshop is on Saturday 17th January 2015, reserve your place here https://eventbrite.co.uk/event/13066282603/ I look forward to connecting with you. Are you a slave or master of love? Some of you may remember Bryan Ferrry’s Slave to Love hit single for Roxy Music back in the 80’s. I was definitely a slave to love back in the day though that has all changed for me, what about you? The love and relationship inventory is designed to bring clarity to your love and relationship experiences and beliefs. As you read through the inventory, answer honestly if the statements resonate with you. 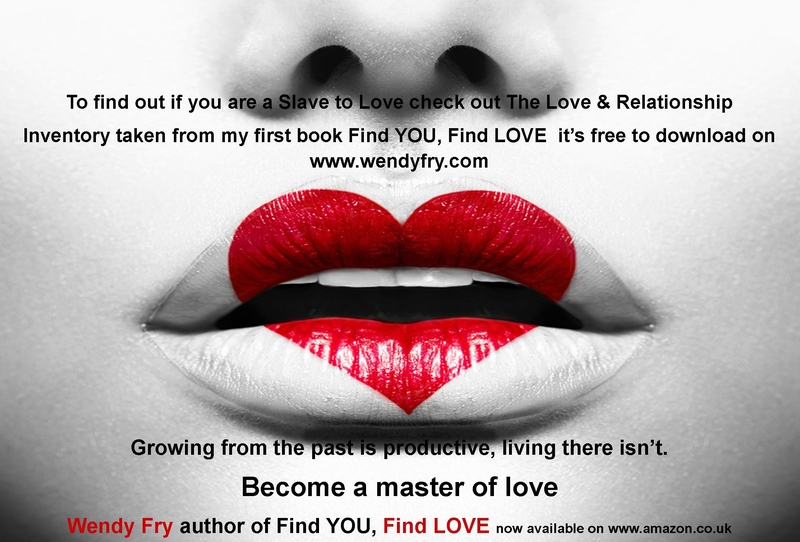 While completing this you will gain insights into whether you are indeed a slave or master of love. Somewhere along the line you would have learnt beliefs and behaviours that meant you put love and self worth outside of yourself. There may have been times through your life experiences where you have felt unworthy, unloved and rejected, though if this has been your experience in the past, there is no evidence that history will repeat itself, except for your thinking making it so and making you a slave to love. You may notice that you behave the same way in all relationships and that you l seek approval, acceptance and love from outside of yourself across a wide variety of relationship experiences. You may find yourself drifting form one relationship to another without a gap, you may have affairs or seek out attention and validation through a range of outlets that make you feel loved, you may feel it too daunting to be single or alone, all these things may contribute to you being a slave to love. Use the statements on the inventory as a guiding light to get clear on what you need to change about your perceptions and beliefs and how you view love and relationships. It’s never too late to improve the relationship you have with yourself and this in turn will lead you o becoming a master of love instead of a slave. 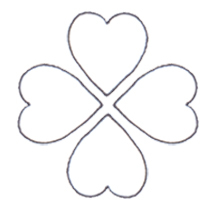 To check out if you are a master to love go to https://wendyfry.com/wp-content/uploads/2014/08/Self-Love-Inventory-Heart-Based-Practical-Exercise1.pdf to see how well you’re doing in this department. Emotions are a record of the past in their own right and there to help us, not to harm us, it just depends on how we view the emotion as to whether we use it to limit us or help us to grow from the experience of feeling this emotion. It’s natural when you explore love and relationships that all sorts of thoughts, feelings and emotions could raise to the surface, some good and some not so good. 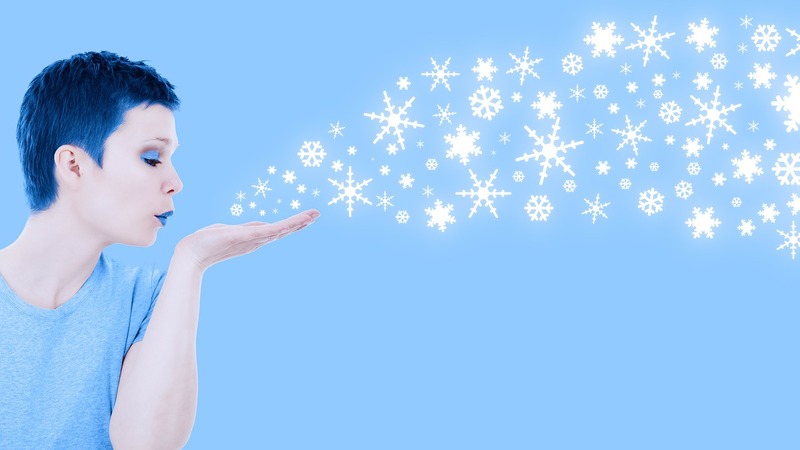 If you feel you need some help and support to work through your love and relationship problems I offer a choice of 1-2-1 support services or workshops https://wendyfry.com/services/ It will be my pleasure to support you to become a master of love.